MID-ARGYLL: A Kingfisher was on shore at Crinan Ferry at 08.30 today then flew over to canal (John Halliday). Movement of thrushes over Cairnbaan heading SE with around 300 Fieldfare and 100 Redwing (Jim Dickson). A Kingfisher and a Dipper were on the shore just south of Ardrishaig last Sun 14th (Alan Dykes). COLL: A Snow Bunting at Totronald the last few days (David Andrews per John Bowler). KINTYRE: Alasdair Paterson had a Brambling and a Blackcap in his Carradale garden yesterday. COLONSAY/ORONSAY: reports of a Little Egret at Loch Fada from 4th Oct – it has a broken leg (Margaret Keirnen per David Jardine). 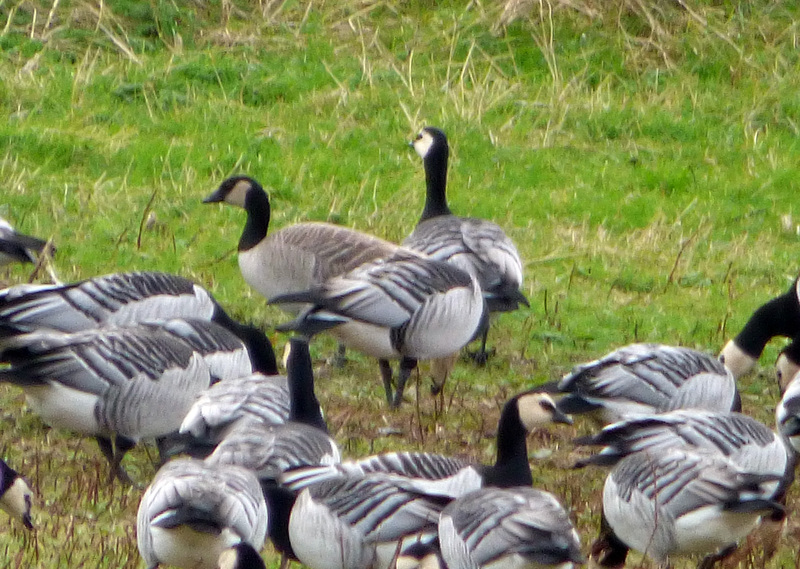 Also a (largish type) Cackling Goose on the Oronsay reserve today (Patrick Styles). MULL: The Cattle Egret was still at Dervaig yesterday (per Mullbirds). CACKLING type Goose – Oronsay, Colonsay 18th Oct (Patrick Styles). 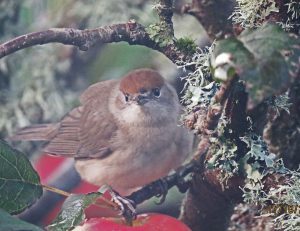 BLACKCAP – Carradale, Kintyre 17th Oct (Alasdair Paterson).